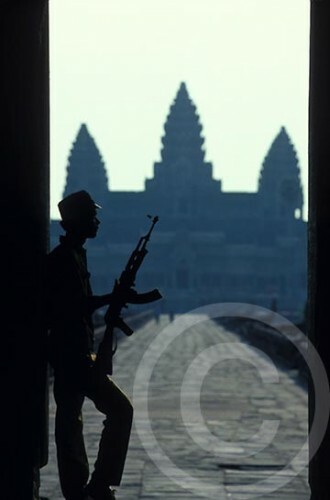 This entry was posted in Photography, Thursday Picture of the Week, Travel and tagged AK-47, Angkor Wat, asia, Cambodia, children, guns, photographs, photography, photojournalism, pictures, travel, World Heritage Site by Becky Green Aaronson. Bookmark the permalink. Becky, I noticed his little ear folded over too, and felt pain in knowing this child was having to tote around a gun. Such a striking photo. And the story you tell about your husband’s experience is so compassionate and effective. I got a sense of the fear and pain he must have felt. I, too, am glad he’s never seen another child with a gun. I hope he has grown into a happy adult. Every time I look at this photograph I try to imagine where this young boy is now, and wonder how his days of gun-toting influenced his life. I’m glad you stopped by my blog today because I have nominated you for the HUG AWARD. I’ll be mentioning you tomorrow in my next blog post. Congratulations! Becky, Thank you so much! I can’t tell you what that means to me. I appreciate it so much!! What a fine line between fear and pride the portrait of the embodies — not to mention the desperation of a society forced to strip away a child’s innocence. I can well imagine that lump in Jeffrey’s throat when he took the photo, and the sense of relief he felt on subsequent trips. You nailed that so eloquently, no further words are necessary. That first picture is so sad…. I know all about the boy soldiers in Africa but really have not heard much about them elsewhere. It is sad, but at least things are getting better in a few places. Hopefully this young boy has gone on to do great things with his life. 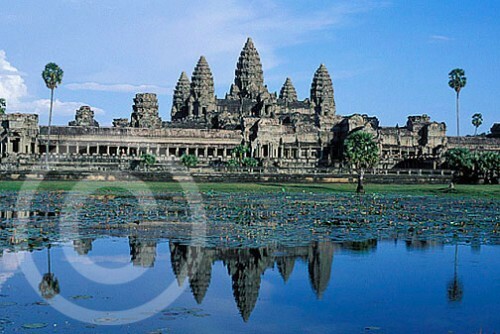 It would be fascinating for Jeffrey to go back to Cambodia and try to track him down (although nearly impossible, I realize). Wow. So glad I found your blog. Amazing. I’m so glad too! It has been fun to connect. Becky the last line of this post really made me happy, so yes “The best part is that Jeffrey has never come across another child carrying an AK-47 rifle in Cambodia.” The first photograph really speaks a lot. 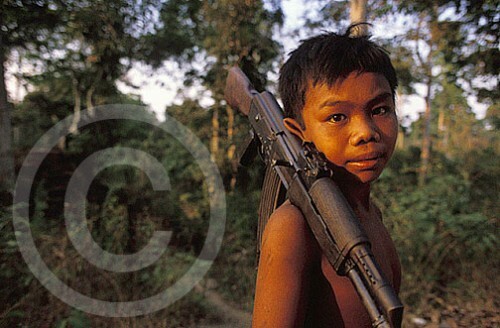 That young boy may be standing with an AK-47, but the innocent eyes speaks about all the pain he went through. 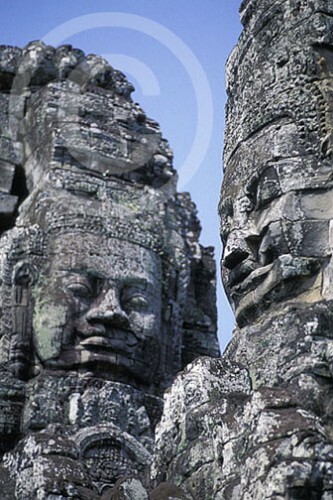 And what a beautiful place Angkor Wat is! Jeffrey captured these places so beautifully. It’s structure and the stone work on this temple’s wall is very similar to the temple’s in my hometown. 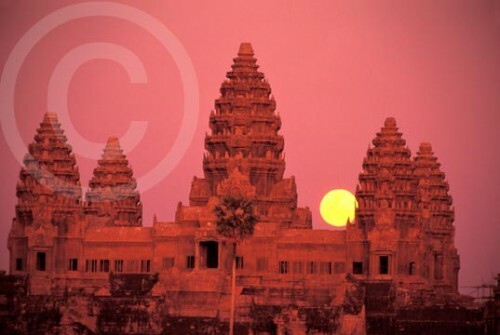 As the part of my country where I was born & brought up, is called as the city of temples. Thank you for this beautiful post. 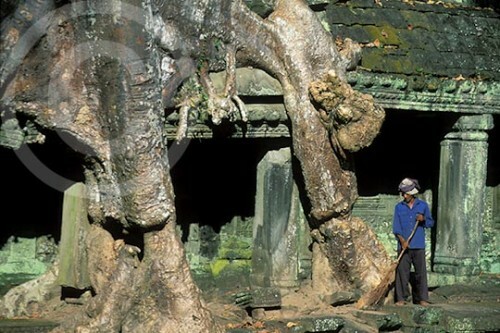 Lucky you to have lived in the City of Temples! It sounds beautiful. Some day I will venture to India and experience all the magnificent things you have described about your country. I’m glad you liked this post. The first image is beautiful and chilling. It’s nice to know that he hasn’t come across any more children carrying guns recently and that the restoration has been successful. Thanks, Tracey. I will pass on your kind words to Jeffrey. And yes, it’s something to celebrate when kids can be kids (or at least more like kids) instead of carrying guns and taking on the role of a grown-up. This photograph always hits me in the gut–particularly how his little ear is folded over–a boy who has seen and experienced too much.